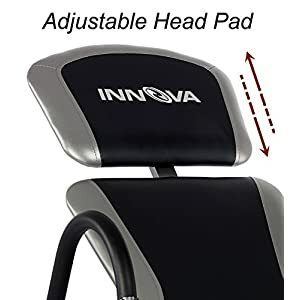 Innova offer an excellent range of inversion tables that generally tend to fall into the reasonable price bracket of $100 – 200. All inversion tables from the Innova range are fairly similar in design with a strong and stable base and long looping side handles. All Innova inversion tables below are able to hold 300 lbs and are suitable for users between the heights of 4 ft 10 to 6 ft 6 inches. Every inversion table from Innova tends to have very high ratings from users and they are all very popular choices. Like other inversion table brands, the newer models of Innova tables have more outstanding features. We will take a look at some of the features in the next tab should you wish to compare each tables primary features. The popular basic Innova ITX9600 inversion table is fairly feature packed for a budget table. however, it does not have the extra features such as heat and vibrate pads found on other Innova inversion tables. All of the Innova inversion tables below feature padded backrests for great comfort while in use. 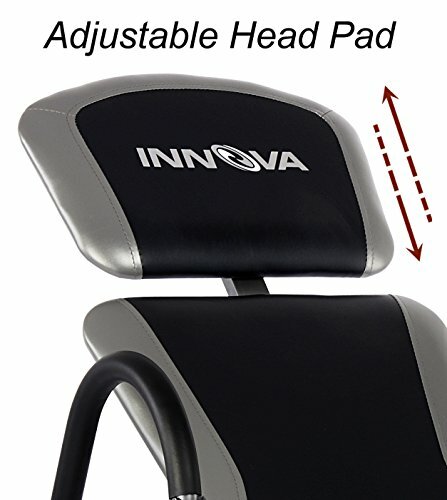 But one of the most unique things about Innova inversion tables is the adjustable headrests which can be adjusted and positioned to suit different users. This features allows for better balance and can make the table more comfortable for some users. Innova inversion tables choose not to opt for the standard tether strap limiting system and instead have the pin inversion angle limiter. Providing the user with a choice of 15, 30, 45, 60, 85 degree angle limitation. You can of course opt not to use this feature if you prefer to invert fully. The slot pin system is a robust system that is very simple to use. 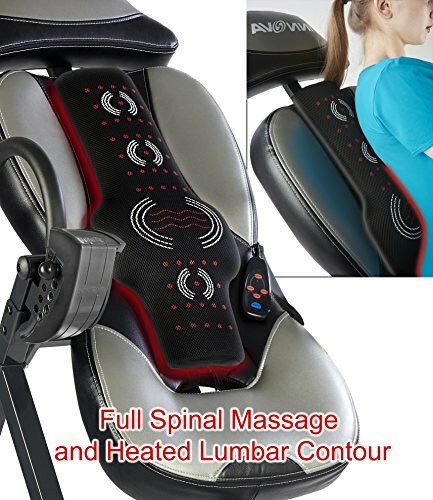 Both the ITM4800 and the ITM5900 feature heat and vibration massage pads. The blue ITM4800 comes with a small lumbar support pillow that has heat and vibrate functions built into it. 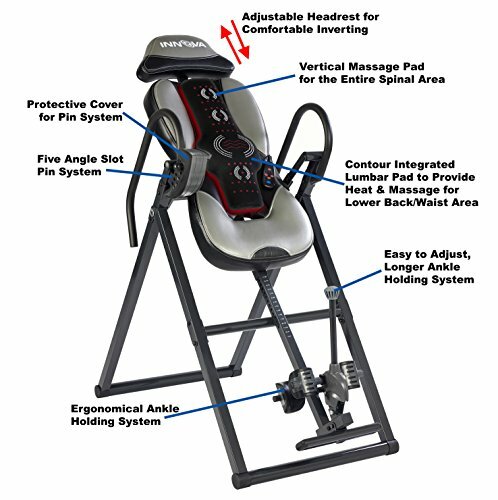 The more superior ITM5900 inversion table comes with a full spinal cushion that features heat and vibrate settings. The cushion also features a raised area for lumbar support. You can find out more information about the heat and massage pad on each products page. 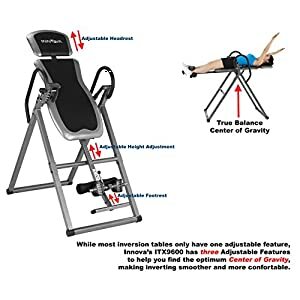 It is also worth mentioning that the Innova ITM5900 inversion table is listed as one of our top 3 recommendations for the best inversion tables with heat and massage functions. This is a feature found only on the ITM5900 model. It allows the user to lock their ankles into the table without having the need to bend over too far and risk straining their back. 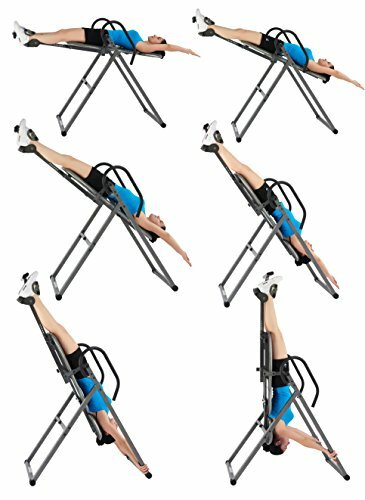 You can find out more information about all of these features by clicking on the individual Innova inversion table models below. Although the ITX9600 inversion table from Innova is also highly recommended this ITM5900 model is, in our minds, a better table overall. It is a newer model and therefore has some very nice extra features not found on the other inversion tables from Innova. 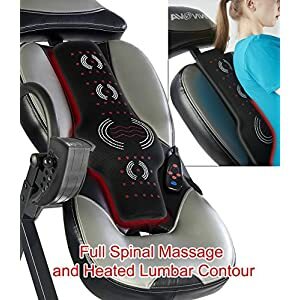 The long full spinal heat and vibrate massage pad is the main highlight, and many users tend to agree that this is a great reason to opt for this particular table. The extra long ankle lever is also a nice touch that is also not an option on other Innova inversion tables. If the heat and vibrate pad doesn’t seem like a particularly appealing feature to you, then the ITX 9600 is a much better choice. 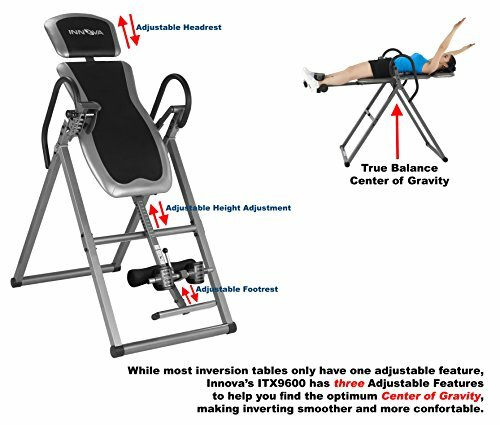 However, overall the ITM5900 is the best Innova inversion table simply due to the added extras. The Innova ITX9600 is in our opinion the best budget inversion table currently available. It is also one of the most popular and well rated! Considering the low price of this entry level inversion table it has some excellent features that users love. The padded backrest and adjustable headrest are just two of the highlights that add to the comfort. In addition to this the ITX9600 features reversible ankle holders so you can rotate the ankle supports should you wish to. 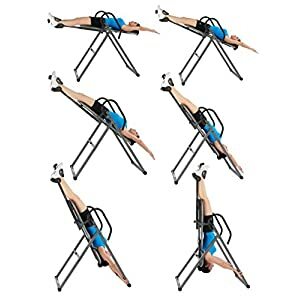 Both the low price and the great quality of this inversion table are excellent reasons to opt for it, and as you can see in the buyer reviews on the product page, many others also agree on how good this budget inversion table is.